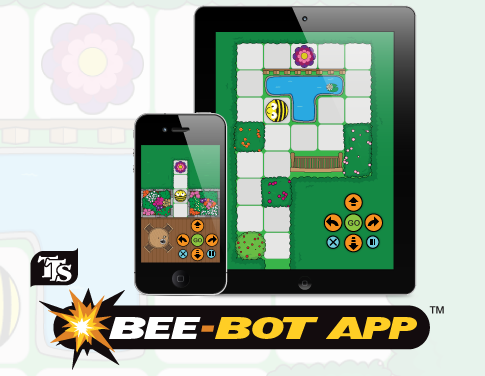 Apps made for TTS based on their popular Bee-Bot robots. 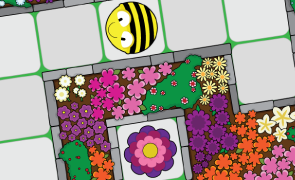 The Bee-Bot app teaches children basic control and programming skills within a fun and engaging game. The app is carefully designed to be accessible by very young children but still challenges players of all ages. We designed and developed the app from scratch for TTS who approached us about using their popular Bee-Bot robots as the character in an educational app. The app has been very well received by parent and children and is currently rated at 4.5 out of 5 stars in the iTunes App Store. 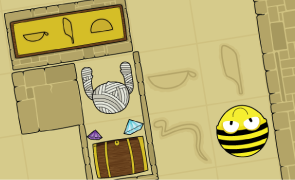 We have since developed a companion app called Bee-Bot Pyramid which extends the adventures into a new world. Several ideas were mocked up and tested before we settled on a simple, single-screen, top-down maze game. The app was entirely designed and developed by Stripey. It is a native, universal app coded in Objective-C and using UIKit for the interface elements.